13 people that have been denied stay in Norway are on board the bus that tonight drives to Murmansk. 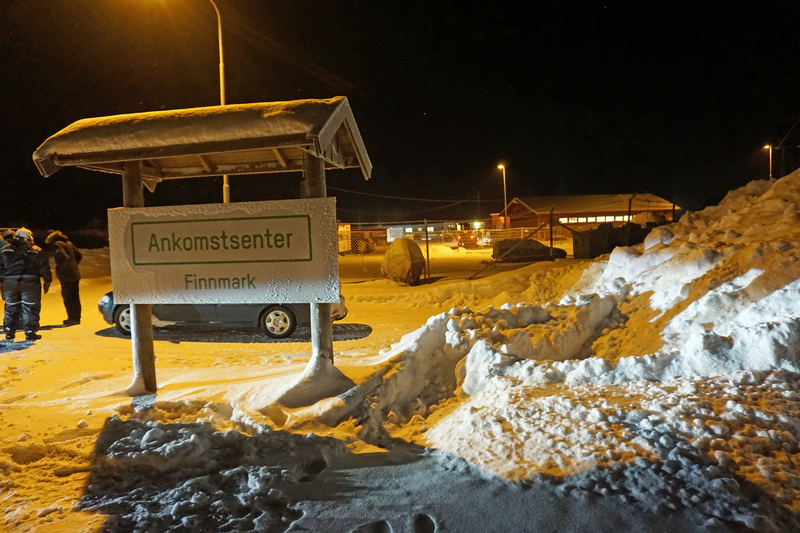 Leaving Reception Centre Finnmark in freezing cold -28 degrees Celsius Tuesday evening, the bus is expected to arrive Murmansk after midnight local time. A civilian police car drove in front and two uniformed police cars followed right behind the bus that went directly to Storskog border checkpoint. Norway late last fall adopted stricter asylum regulations. Most of the refugees and migrants that came to Norway via the so-called Arctic Route from Russia fear being returned the same way, like the 13 tonight. More than 5,500 people entered Norway through Storskog checkpoint on the Norwegian-Russian border last autumn. Both locals in Kirkenes and national organizations are protesting the return of the asylum seekers back to Russia. 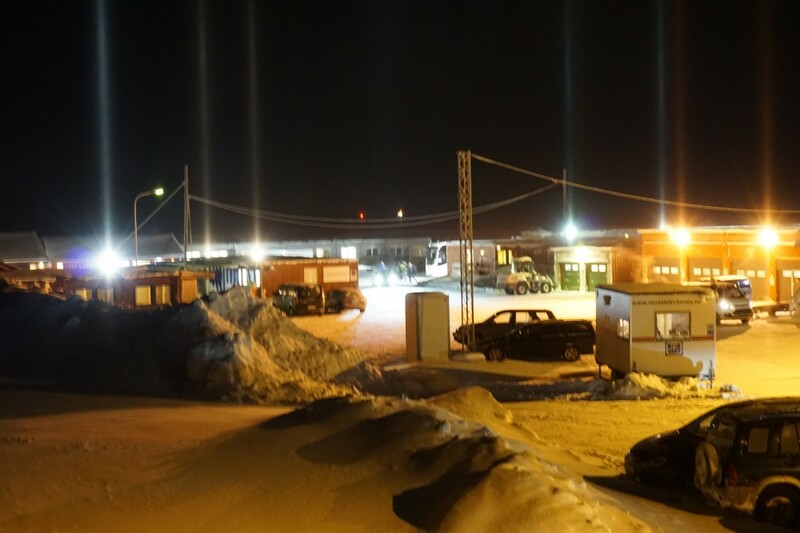 Seeing the red lights at the back of the bus as it left the centre escorted by three police cars, Eirik Nilsen with the ad-hoc group Refugees Welcome to Arctic says to the Independent Barents Observer that this is crazy. “We have been informed that the people will be taken to the railway station in Murmansk. It is freezing cold there and the bus will likely not be there before after midnight,” Eirik Nilsen says. Nilsen and a few others from the group were standing outside and witnessing the when the bus left. They stay in contact with the asylum seekers inside by mobile telephones. Marek Linha, Adviser with the Norwegian Organisation for Asylum Seekers, says to the Independent Barents Observer that returning asylum seekers that came to Norway from Russia is a violation of international law. “Norwegian immigration authorities have refused merits hearing in these asylum cases. If all states have rejected asylum seekers by saying they should have applied for asylum in the first safe country, all asylum seekers would end up in countries bordering conflict areas. Such a measure does not correspond well with the principle of burden-sharing, which the Refugee Convention explicitly reads in its introduction,” says Marek Linha. He says there are several known cases with refugees that have been denied to apply for asylum in Russia. The Norwegian Organisation for Asylum Seekers fears many of those now being returned will be sent out of Russia and back to dangerous areas. Norway’s newly appointed Minister of Immigration and integration, Sylvi Listhaug, says her Government considers Russia a safe country. The Government earlier announced that the majority of those coming via Russia could be sent back the same way. Human Rights groups disprove such safety for all individuals in Russia, fearing that Syrians for instance risk being deported back to war areas.